Browse safety barrier ranges below, available to buy online! Safety Barriers Systems is one of the widest range of product ranges available to purchase through our website. Temporary Barrier systems, such as Plastic and Water-Filled Barriers are also available for short and long-term hire. We also stock a range of permanent barrier solutions, including Armco, Handrails, Guardrails and Verge Posts. 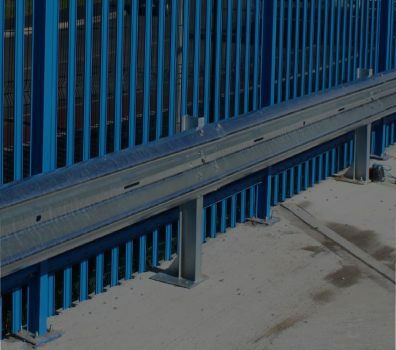 Armco Barriers provide a high-quality steel safety barrier system that can be Installed in locations throughout the UK, Armco Barriers provide a permanent barrier system which will help reduce the amount of damage caused as a result of impact or collision. These Armco barriers are ideal for use within car parks. 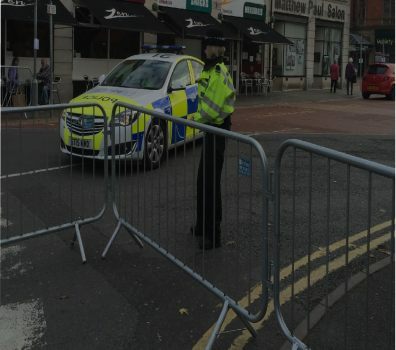 Crowd Control Barriers are made of high quality galvanised steel and are designed to provide a temporary safety barrier and are ideal for supplying pedestrian traffic management in busy or heavily crowded areas. There are four main types of crowd control barriers, Standard crowd control barriers designed to help manage pedestrian traffic at outdoor events, Police barriers with mesh infills making them more robust and durable, Walk-through barriers to provide a clear entry or exit points and Cycle barriers used to keep pedestrians and participants separate and safe during event. Water Filled Barriers are robust plastic barriers which offer great strength, as well as a high level of visibility, designed to provide safety and separation. 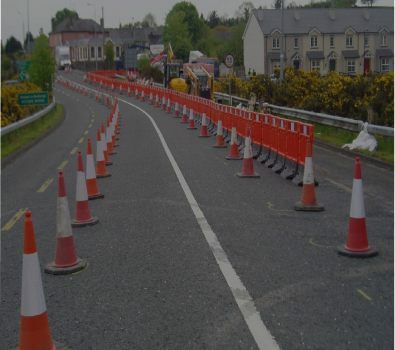 Water Filled Barriers function as effective road barriers and provide a sturdy and reliable safety barrier system which can be used to protect pedestrians or vehicles from roadworks or obstructions on a temporary basis. We offer a variety of Water Filled Barriers which are all completely reusable. Strong Wall Barriers are a self-weighted highway barrier ideal for use in higher risk environments. Delineation barriers are used mark out safe passage and direct traffic. Crash barriers are designed for use on high speed roads, designed to withstand vehicular crashes. Compact barriers are ideal for indoor or outdoor usage. Plastic Barriers are ideal for providing safe traffic management, or for indicating hazardous, offering a high level of visibility. 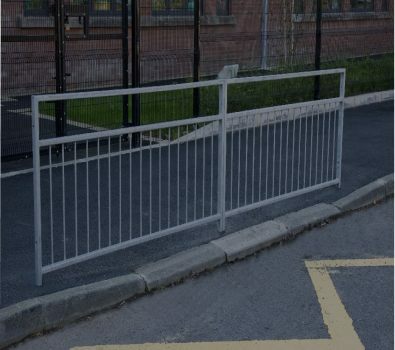 These barriers are designed for temporary use and are extremely hardwearing. 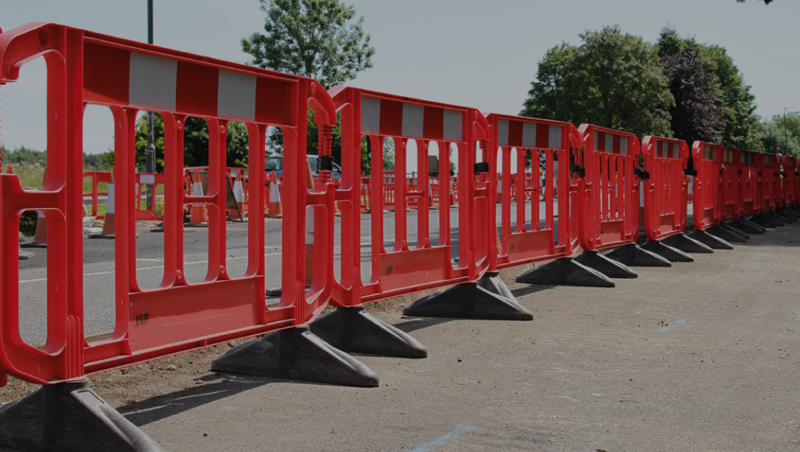 Plastic Barriers are also useful for providing a protective shield to prevent damage or harm when road works are taking place. 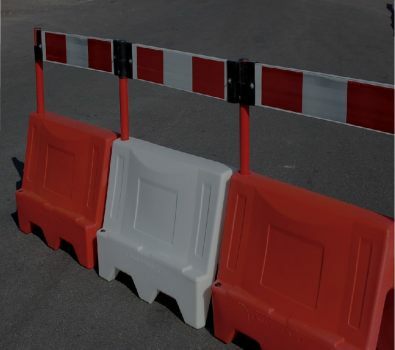 We offer a range of high quality plastic barriers; Chapter 8 barriers are suitable to be used by the road. And Collapsible and expandable are ideal for road works where the site is constantly moving as they are easy to dismantle and are ideal for transportation. Guardrails can be used in a variety of places and for a number of purposes. They are generally used as a form of protective barrier, where they provide people with safety and separation from hazardous areas such as traffic. Making them ideal for use within car parks. Guardrails are available with Sight Top or No Sight Top. Guardrail without Sight Top is the basic choice of guardrail as it contains only infill bars. Whereas Guardrails with Sight Tops are the more popular choice of guardrail and along with infill bars; it has an additional gap in the upper part of the frame. 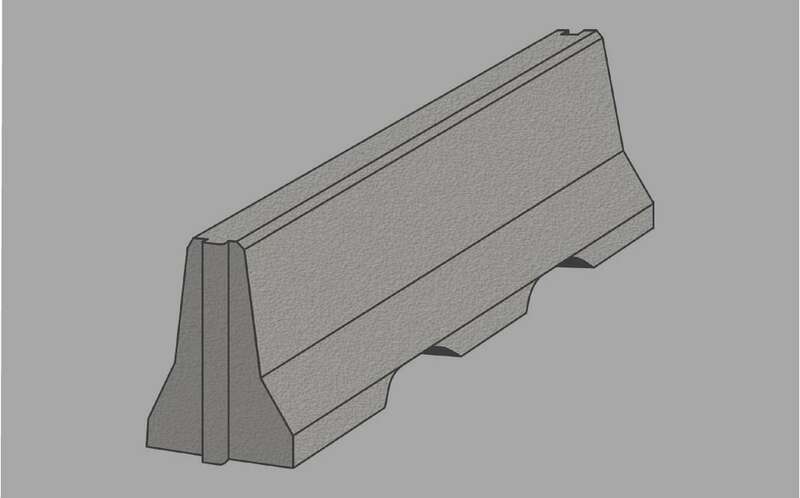 Verge Posts are designed for installation on highways and alongside rural roads and car parks. 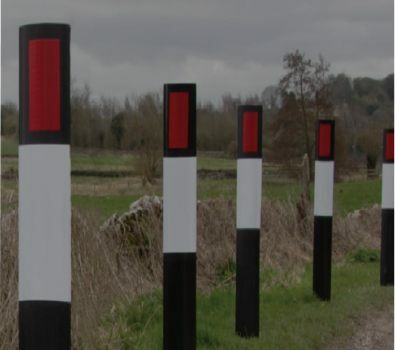 Made from highly durable plastic, they are useful for indicating the edges of roads and potential hazards, and contain reflective areas which increase their visibility to motorists both in the day and at night. There are two main types of verge posts, the Wychwood Flexible Verge Post known for its flexibility, as it is designed to spring back and Wychwood Hazard Style Verge Post designed to return to its upright position even after experiencing impact. 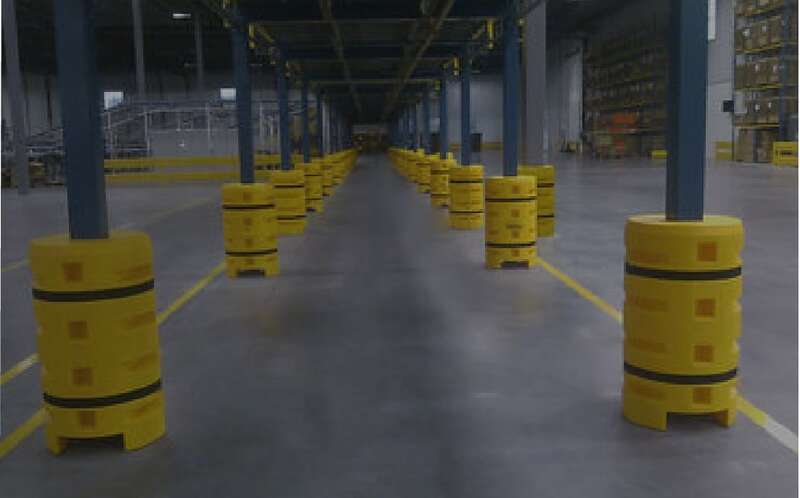 Highly visible column protectors are designed to take multiple impacts and return back to their original shape to help protect posts and supporting columns in factories, warehouses or yards. Concrete barriers are designed to slot together to create defined traffic lanes and restricted areas for yard or site traffic and to protect pedestrians. The barrier allows for Multiple Configurations so barriers can be both straight and slow radiused systems. One of the benefits of using concrete barrier systems is that they are resistant to ram-raiding and other unauthorised vehicular access.